With lots of details in this content, you’ll get almost everything you need to know about a career as an agricultural engineer in Bangladesh. Determining water quality needs, assess river management techniques and determine site appropriateness for agricultural enterprises; the agricultural engineers use hydrological, structural and mechanical engineering skills. Along with the loading devices, they design food processing plants, food and grain storage facilities, and animal shelter. Apart from these, they also test existing equipment to ensure its viability, provide project sketches, budgets, and timelines. Although it’s a job with an attractive salary, it requires at least a four-year honors degree and honors plus master’s degree is preferred for the better jobs. And it’s a great job without any doubt and there are good demands of the degree in the context of Bangladesh. It will only continue to grow despite that our reliance on agriculture and researchers will always be looking for ways to improve yield through biotech, agritech, landscape management, and civic works. Also, the attraction is that agricultural engineers may advance to supervisory and management positions over time. While helping with product planning, installation, and use, some go into sales, explaining machinery and products to potential customers. As Bangladesh is a land of agriculture, the employment outlook for an agricultural engineer in Bangladesh is good. But, agricultural engineers will make gains by diversifying from their original domain and extending into the conservation industry as the growth rate in many agricultural fields is expected to be small. As the demand for farm products increases, the increasing world population will also prove a boon to the agriculture industry as a whole. Although many agricultural engineers also have their Master’s or Doctorate degrees, a minimum of a four-year college degree is required for these positions. Depending on the experience an agriculture engineer in Bangladesh can earn about US$30,000 to US$50,000 per year in an assumption as there are not any specific data regarding this matter. It’s the agricultural engineering that’s the area of engineering concerned with the design, construction, and improvement of farming equipment and machinery. And it’s farming that’s the agricultural engineers integrated with. As it’s said already they design new and improved farming equipment and also they may work more efficiently, or perform new tasks. Apart from these, many of them also help to engineer solutions for pollution control at large farms. Well, let’s know a few steps how to become an agricultural engineer in Bangladesh. 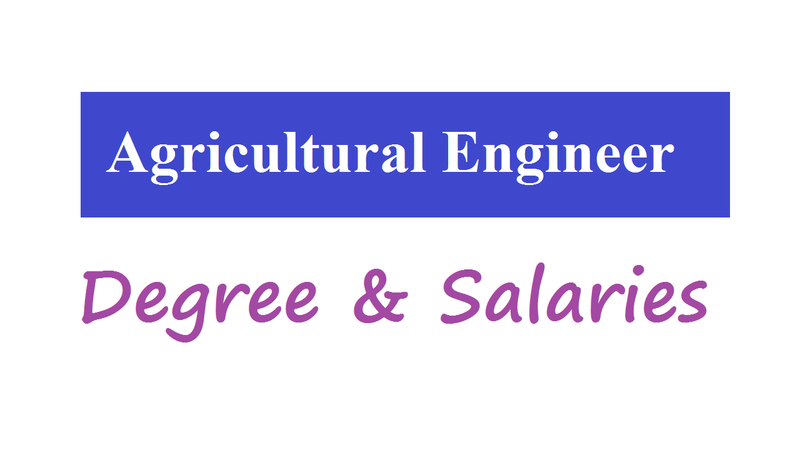 A bachelor’s degree from an engineering program that is affiliated by the government of Bangladesh is the first requirement for the agricultural engineer in Bangladesh. It typically has coursework in calculus, physics with calculus applications, and biology while studying an undergraduate program in agricultural engineering. Soil mechanics, environmental microclimatology, ocean and atmospheric dynamics, hydrology, geology, and soil physics are the agriculture-specific courses. Generally having a focus on the technology used in agricultural processes in the curriculum for a bachelor’s degree in agricultural engineering. Along with power and machinery systems, storage, ventilation, and cooling systems, product processing, spraying techniques, irrigation and drainage management, and agribusiness, several topics covered in programs. And students might be expected to complete a capstone project their senior year in addition to studying these topics. Getting registered is essential for the agricultural engineer in Bangladesh under the Engineers’ Institution of Bangladesh (IEB) in order to start practicing in their field. Not only the agricultural engineers but all engineers are to be doing so after completion of their degrees. If you want to be certified as an agricultural engineer then there are a few organizations offer certification opportunities for engineers. In this case, you can either contact with IEB or Bangladesh Agricultural University, which is located in Mymensingh. Also, you can get certified from private organizations and even if possible from a foreign country. Although the requirements vary by certification type, typically include an engineering degree, work experience, and professional endorsements. You should begin to take on more responsibility for more challenging projects, becoming supervisors and engineering managers when you have garnered experience. Also, there is a chance to transfer their field experience and knowledge into agricultural equipment sales position if needed. As becoming an agricultural engineer typically requires earning at least a bachelor’s degree and getting licensed, professional certification and experience could lead to advanced positions in agricultural engineering. Involving workers, crops, animals, machinery, and equipment, and the environment, agricultural engineers must analyze the needs of complex systems. So, you must have the analytical skills as an agricultural engineer in Bangladesh. In addition, an agricultural engineer should not only understand the needs of clients, workers, and others working on a project but they must communicate their thoughts about systems as well. Also, for analysis, design, and troubleshooting, agricultural engineers use calculus, trigonometry, and other advanced mathematical disciplines. And if we talk about the problem-solving skills then an agricultural engineers’ main role is to solve problems found in agricultural production. As there are many agricultural engineering programs offer cooperative education or internship programs in the agricultural industry, these can help provide the real-world experience required for state licensure. Considering pursuing a master’s degree, you’re graduates of an undergraduate program in agricultural engineering though. When a graduate degree in agricultural engineering offers a chance to further specialize within the field, a master’s program is likely to focus on research, allowing the student the ability to show an understanding of a particular aspect of agricultural engineering.